I love cookbooks compiled by church women’s groups, especially if they are more than two decades old, preferably three or four. These books of family recipes, put together by volunteers as church fundraisers, are excellent sources for old school cooking in modern times. For sure, many recipes use canned soups and other processed foods, or are very high in fat, but the creative cook can make substitutions, like fresh mushrooms for canned, whole wheat noodles for refined elbow macaroni, lean ground turkey for ground beef, real celery in white sauce for cream of celery soup, etc. And there are always a few recipe gems, things that I remember from eras past. I found one such recipe gem in my Mom’s women’s club’s book, Fast or Feast, dated 1965. 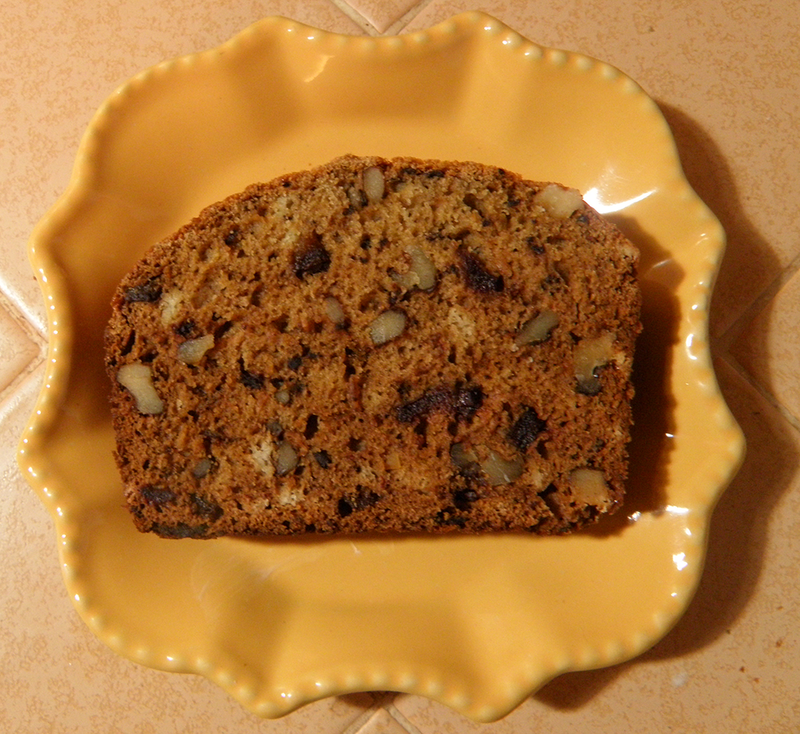 I had wanted to make my (long deceased) great Aunt Vel’s date nut bread but no one has the recipe anymore. Around Christmas, when I was a kid, she always brought over a couple of loafs, which we enjoyed with cream cheese. She only made these at Christmas, and part of the recipe must have been a secret, because no one else in the family could make date nut bread like she did. A likely recipe candidate was contributed to Fast or Feast by Margaret DeJohn, the best-known artist in town, with the subtext “Recipe Dated 1800s.” Probably this was from the 1880s or after, since before then written recipes were a rarity. The method of preparation seems extremely odd for us moderns, for example creaming 1 tbsp. 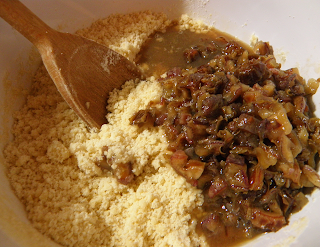 butter with ¾ cup of sugar, and adding baking soda and boiling water to dates. 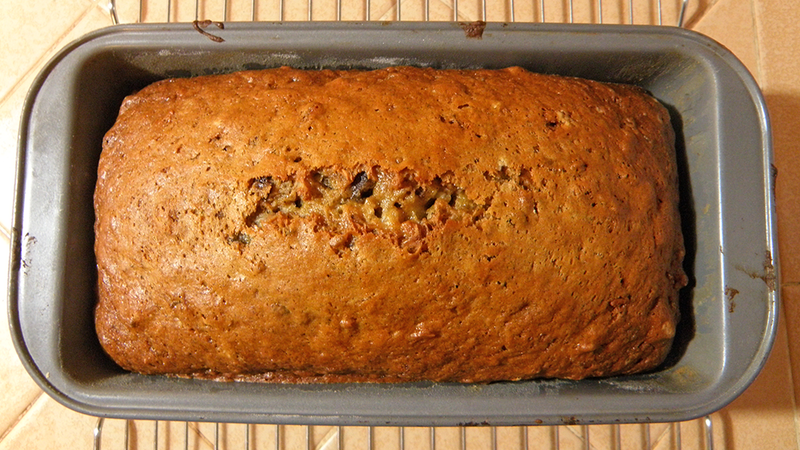 Still, the recipe made quite a delicious loaf. It’s not as dark and date-y as Aunt Vel’s, so I still have work to do. But in the meantime, I offer this vintage “older than old school” recipe. 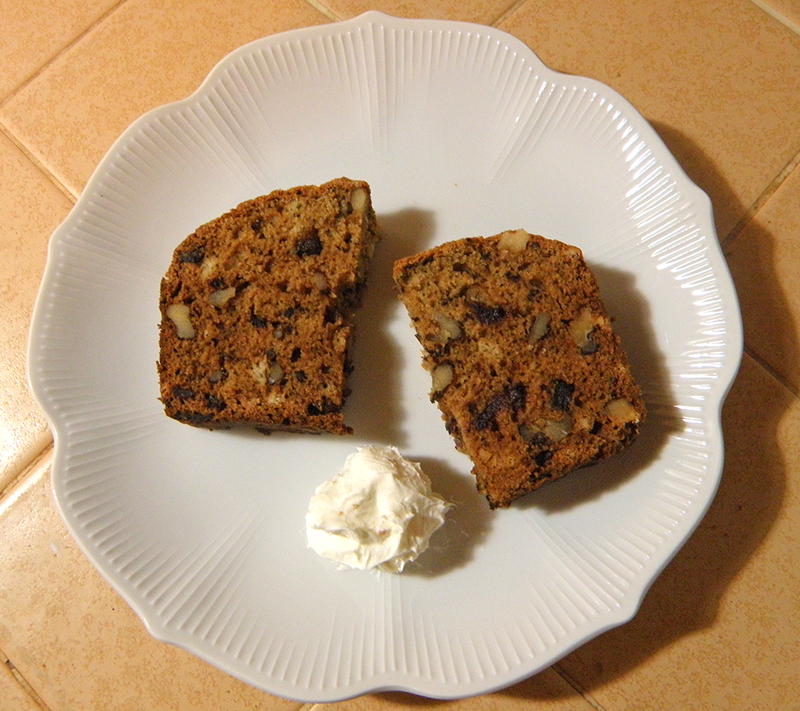 I made these minor changes: increased the amount of walnuts from ½ cup to ¾ cup, and also increased the dates by chopping them finely before measuring. I packed them moderately tightly into the cup. I substituted evaporated cane juice for white sugar, which is actually closer to the most common sugar in the 1880s. I also buttered and floured the pan instead of lining it with waxed paper. If you’d like to find some of these old church group cookbooks, check flea markets, estate sales, and large rummage sales, especially if you happen to be in New England. Preheat oven to 350 degrees. 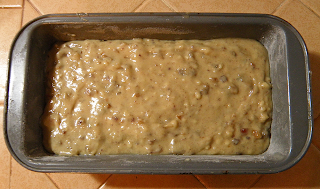 Butter and flour a loaf pan. Sprinkle dates with baking soda. Add boiling water and stir. Let cool. Cream butter with sugar, distributing butter evenly throughout sugar. Beat egg, and add to sugar mixture. Stir together, creaming any lumps of butter against the side of the bowl with wooden spoon until dispersed. Sift and measure flour and mix with salt. Stir flour mixture into egg mixture. Batter will be thick. Add date-soda-water mixture when cooled. 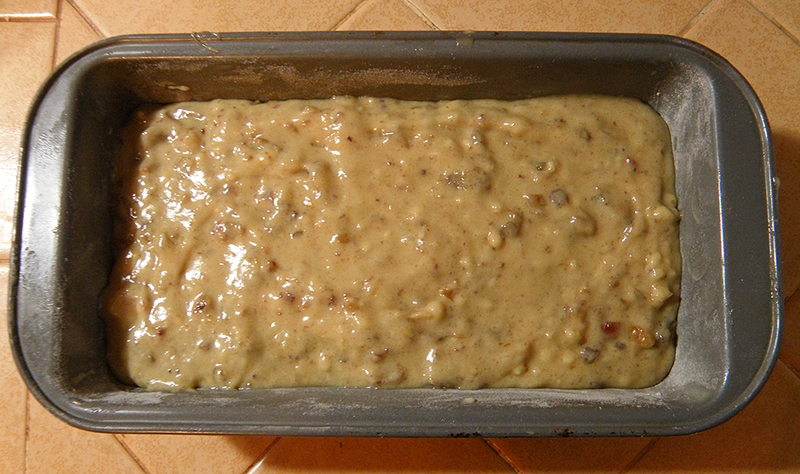 When thoroughly combined, put batter into loaf pan. Bake at 350 degrees for 40 minutes. Test for doneness by poking in the middle with a toothpick. If toothpick comes out sticky or wet, lower heat to 325 degrees and continue baking, set timer for 10 minutes, and test again. 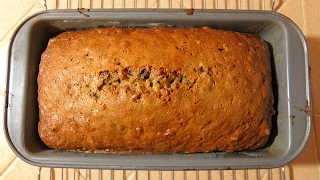 Continue baking and testing every 5 minutes until done. For me it took about 25 extra minutes.